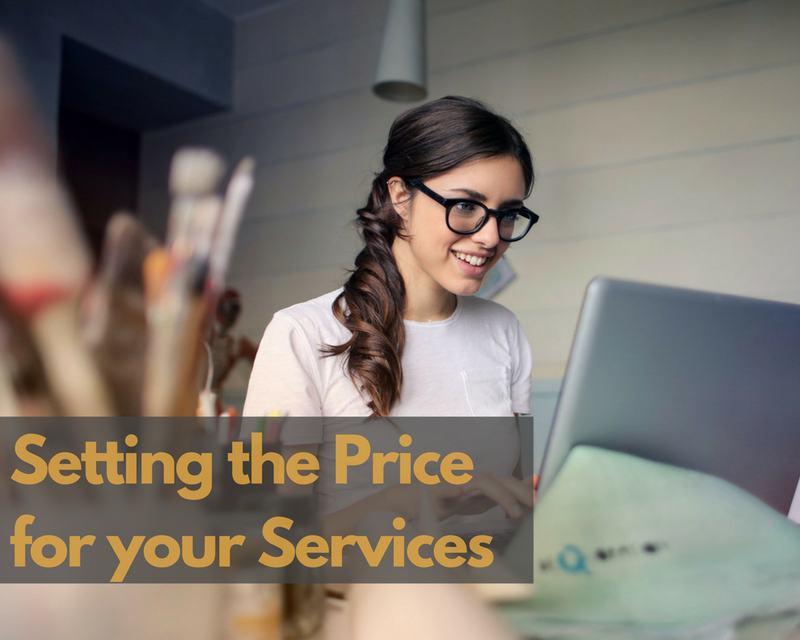 When it comes to pricing, many women business owners struggle when setting their prices. Even us! It took us a few round tables to define what would be the monetary value of each one of the options we now offer to our beloved customers. The core of the topic is for you lady to know how valuable you and what you offer to the world are. If you consider that you are charging too much, or don't want to increase your prices, that might be a red flag you need to work on. If you don't see how unique and valuable that service is worth paying for, your customers will never pay for it. So, are you charging enough?? Believe it -believe in you - and charge for it with confidence! Your price should cover a portion of all your costs. It's not just charging $20/hr because you pay your employees $20/hr, but also including a percentage of your operational costs (transportation, systems, administrative costs, utilities, etc.). Any time you make a deal, make sure you cover all your costs. You only need to be aware of what other people with similar businesses charge for. Never compete in price, as this might be counterproductive in the long run (your customers might run to another whenever you increase your prices, which is the ultimate situation to avoid). Your real competition should be based on how you treat your clients, how satisfied they are with the unique value of your offers and other factors that will set you apart from the rest. This is where most of the subjectivity comes into play. When you have a product, prices are generally set as the wholesale cost plus double the price to come up with a price and then set your calculated profits. With services, there's no such a thing. Ladies, the most important thing here might not be how much time you spend delivering your service, but the perceived value of that service and your expertise to them. That is what will set you -or not - apart from the competition. Convince your customers -and yourself again - about the tremendous amount of value you are bringing to the table in terms of service and quality. Your customers will know it and will be happy to pay for the whole experience. 4. Be willing to hear and say "No"
Unless you are way underpricing yourself, there will always be customers who will find you too expensive. And that’s okay. Be confident about WHAT YOU ARE WORTH! In the long run, would you rather lose out on those ultra-cheap clients and start setting a trend of giving away your services for less than they are worth?. Yeah, I didn't think so. You give a huge discount to one client, it will be that much harder to price high for future projects. On the contrary, a higher price point can help you cultivate an image of prestige and ultimately earn you more clients – and more dollars – in the long run. What are your strategies when setting prices? Let us know your comments in the section below. And remember, the bottom line is: You owe it to yourself and to your business to be relentless in managing your pricing strategy. How you set the price of the services you sell could be the difference between the success -- or failure -- of your business. Happy pricing!